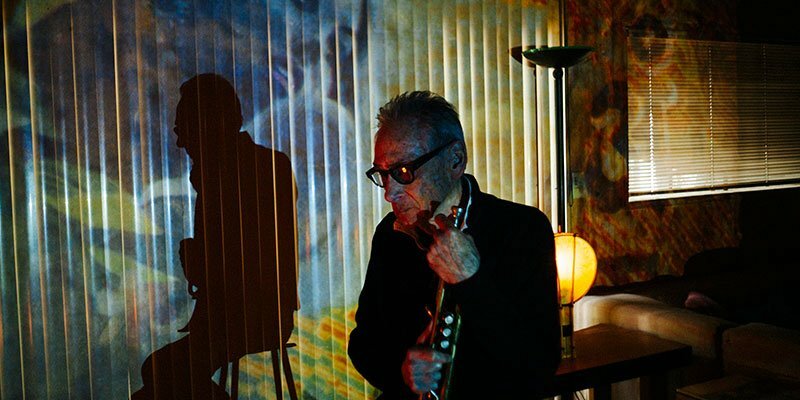 Ableton just released a fantastic interview with New York trumpeter and composer Jon Hassell. The interview covers among other things his studies with Stockhausen, his coining of the term “Fourth World”, his early work with Fairlight CMI, work with Bob Moog on a sound sculpture, with lots of inspiring information on his practice and art. 2018 then seems to be auspicious moment for Jon Hassell to release a new album. Listening To Pictures (Pentimento Volume One) is his first collection of new music for nine years and represents an updated reconfiguration of all the signature elements of Hassell’s magical realists soundworld: the lush chords and fine-grained textures, the oddly intricate rhythm structures that propel forward while revolving around their own axis, and of course, the treated trumpet lines, sounding somewhere between an intimate whisper and a chorus of conch shells. Listen to his latest album on bandcamp: Listening To Pictures (Pentimento Volume One). Check out Jon’s bandcamp page here https://jonhassell.bandcamp.com/.